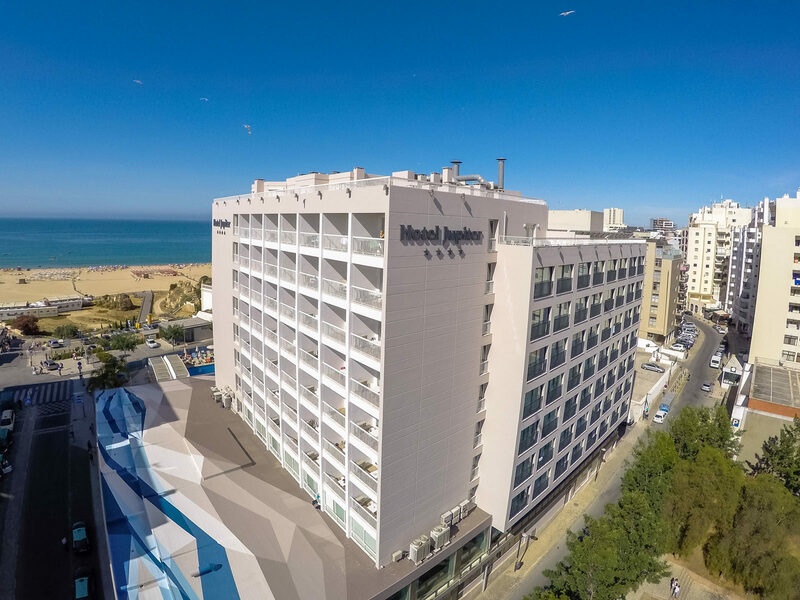 Sitting proudly on the Praia da Rocha seafront, Jupiter Algarve Hotel is the perfect beach getaway. The refurbished decor draws inspiration from its oceanside landscapes and complements the abundant on-site facilities and flavoursome dining scene. The pool area is a hotspot for sunbathing and swimming. If you prefer to feel the sand between your toes, the beach is just a short stroll away. Indulge in a hot stone massage in the serenity of the spa, or up the tempo with a workout in the fitness centre. The guest rooms and suites are ultra chic. Crisp-white bedding, tiled floors and colourful throws are equally matched by modern touches such as air-conditioning and Wi-Fi. Many rooms also have a furnished balcony with stunning ocean-view vistas. Culinary experiences embrace round-the-world flavours. 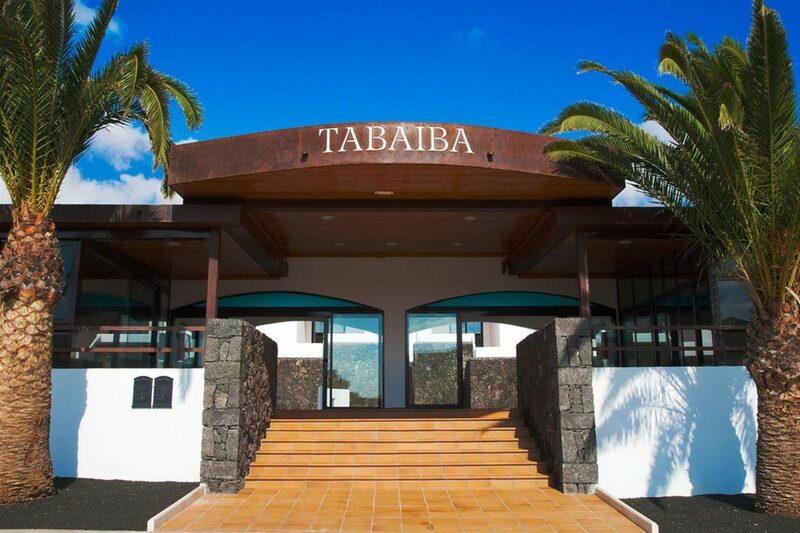 The main restaurant presents local Portuguese specialities and international favourites. The barman is happy to shake you up one of his signature cocktails to enjoy as you watch the evening entertainment on stage too. Discover why Jupiter Algarve Hotel is a popular place to stay for relaxing holidays in the Algarve. 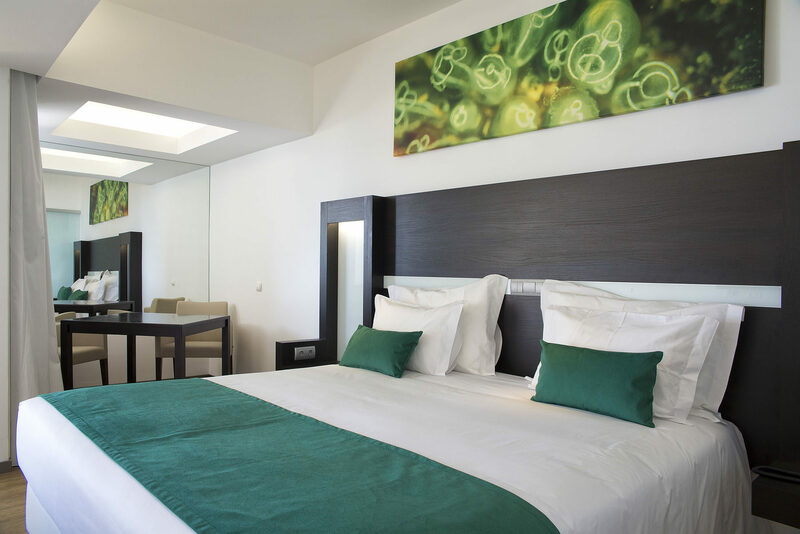 Jupiter Algarve Hotel highlights include: large outdoor swimming pool, sun terraces, sunbeds, parasols, children's pool, indoor heated pool, restaurant, bar, Wi-Fi, car park, luggage storage, courtesy room facilities, and 24-hour reception. Jupiter Spa offers: massages, treatments, aqua spa pool, personal trainer, fitness centre, Turkish bath, sauna, and relaxation room. The hotel has 183 modern guest rooms and suites, consisting of 71 standard, 49 superior, 30 premium and 12 family rooms, along with 11 suites and ten exclusive deluxe rooms. Room highlights: complimentary Wi-Fi, bathroom (with shower or bathtub), LCD TV (with international channels), minibar, air-conditioning, double or twin beds, and 24-hour room service. 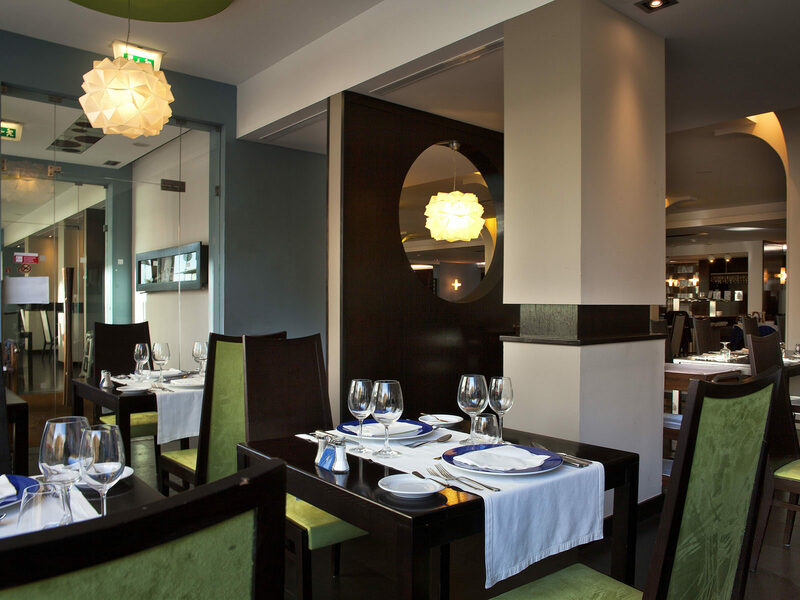 The main Jupiter Restaurant serves buffet-style meals with Portuguese and international flavours. A wide selection of hot and cold drinks are available at the bar. Evening entertainment includes live music and shows.